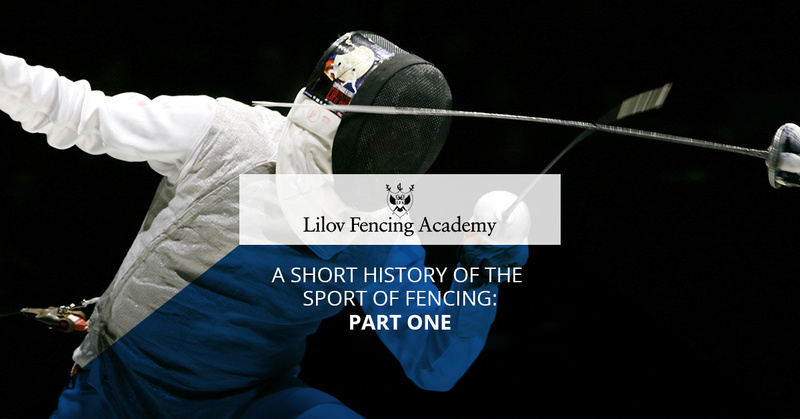 Fencing is rightfully seen as a sport that exudes a great deal of sophistication and history, but do you know how far back the history of the sport goes? The answer might surprise you! In this, the first of a series of blogs, we will attempt to untwist some of the complicated history of the sport so you can appreciate this incredible pursuit! If your children are interested in taking fencing lessons, please contact us at the Lilov Fencing Academy in Cedar Grove. Our fencing teachers are among the best in the world; many of our coaches were national team coaches or are currently on important teams. Your children will enjoy a world-class education in a state-of-the-art training facility when they take fencing classes at the Lilov Fencing Academy. Fencing can trace its history to the very beginning of sword-based combat, which first appeared in the Late Bronze Age, and the oldest evidence of a fencing competition has been dated to sometime around 1190 BCE in Egypt. A late Roman writer named Vegetius wrote about early swordsmanship practices that favored the thrust over slashing and cutting, which some people believe was one of the documents used to establish the thrust in the French and Italian schools of fencing in the 1700s. The first modern fencing rules and weapons appeared in the 1700s and 1800s, and continued to change and evolve as the practice grew in popularity with the aristocracy and upper middle classes throughout Europe. Italian, German, French, and Spanish variations of the rules and the weapons continued to change over time, according to the style of combat that each school favored. While fencing was originally used as military training and to settle formal insults as a form of dueling, it was codified into a sport in the mid-1700s in London by Domenico Angelo at his School of Arms in Soho. The sport continued to grow as it stressed the positive impacts of fencing — physical health, graceful movement, balance, class — and pushed away the idea of it as training for combat, which had given fencing a negative stigma for quite some time in England. It was in 1896 that men’s fencing became an Olympic sport, and is one of the longest-running events that is still a part of the games. As you can see, the history of fencing is long and complicated, and we have only just begun to scratch the surface. Next time, we will cover the development of fencing in the 20th century! Contact us today if your children are interested in taking fencing lessons.